1. 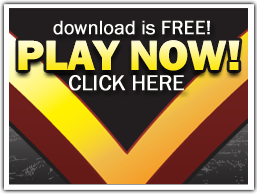 Launch the Superpoker software by clicking on the desktop icon and click on the “Log in” button located to your right. This will open up the following login box. Click on “Sign Up Now”. 2. You will be redirected to a sign up page. Please fill out all the information required. Make sure to choose a “screen name” that best identifies you. Your screen name must be 5-12 characters (alphanumeric, no spaces). Please note that this is case sensitive. Don’t worry! You can change this later if you want. 3. Congratulations! You have created your Superpoker account. You can now log in to the client and start playing. To choose an avatar, click on the “options” button located to your right. Browse the avatars by clicking on the arrows as shown below. Chose the avatar that you most like. Click on “choose” and then “ok” and you will be all set.